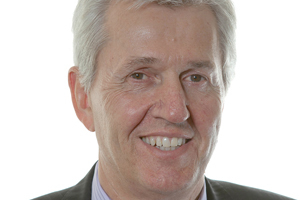 Nick de Bois MP, chair of the All Party Parliamentary Group (APPG) for Events, will launch the Britain for Events campaign on 27 October 2011 alongside industry experts. The launch will take place at The Deck at the National Theatre, where de Bois will discuss where government and the industry can work together to increase the UK’s competitiveness in attracting large scale events. The event will mark the unveiling of this years’ Britain for Events campaign and how it will support the industry in achieving this objective. "This is a vitally important campaign in promoting the UK events industry," said de Bois, MP for Enfield North. "This is an industry that represents a huge opportunity for growth within the economy and to increase our competitiveness internationally." Michael Hirst OBE, chair of the Business Visits & Events Partnership added: "As an industry we are right to seek a higher profile on the political agenda as we represent an area of huge growth for the economy. We’re delighted that Nick de Bois and his All Party Political Parliamentary Group are taking our case to the very highest levels of government and are so supportive of the Britain For Events campaign." De Bois recently told C&IT about his views on sustainability.